Profitably and Sustainability in Palm Oil Production is a first-time study that comprehensively examines the financial costs and benefits of producing sustainable palm oil under the guidelines set out by the Roundtable on Sustainable Palm Oil (RSPO). The report was produced jointly by WWF, CDC, the UK's development finance institution, and the FMO, the Dutch development bank. For example, while many firms were initially attracted to RSPO for the price premiums commanded by certified sustainable palm oil, the larger financial gain often turned out to be resulting improvements in operations, documentation systems, labor relations, and other internal factors. In fact, each major category of benefits was, in and of itself, capable of outweighing RSPO implementation costs, according to the report. The report's research shows that adopting sustainable practices, even in a high impact industry like palm oil, can result in net financial benefits to producers—providing gains for people, the planet and the bottom line. 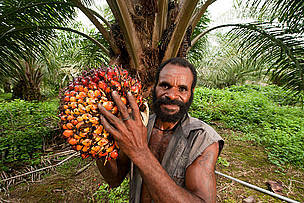 WWF engaged with other NGOs and the palm oil industry to launch the RSPO in 2003. Since then, WWF has worked to ensure that the RSPO standards contain robust social and environmental criteria, including a prohibition on the conversion of valuable forests. Certified Sustainable Palm Oil has been available since November 2008 and now makes up more than 10 percent of the global palm oil market. It provides assurance that valuable tropical forests have not been cleared and that environmental and social safeguards have been met during the production of the palm oil. 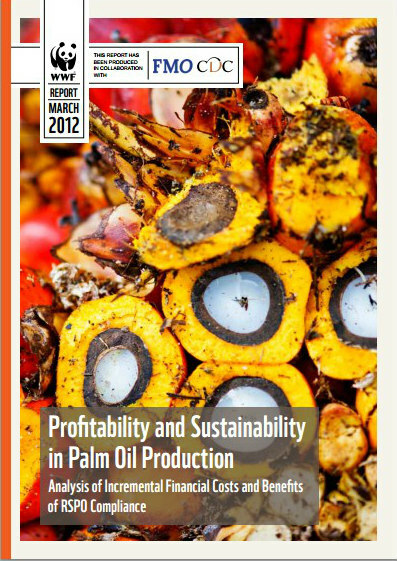 Protecting the environment by producing certified sustainable palm oil is also good for the bottom line, according to WWF's report, "Profitability and Sustainability in Palm Oil Production".